Moon Textile is also famous among some other famous textiles like Lakhani Silk Mills, Shariq Textiles etc. It is well known as a sign of all-time favorite cultural patterns as well as versatile prints. We all know that there is a very tough time for all those designers who are in this field of fashion and want to make best and innovative designing from other designers. Barkha Lawn Collection 2015 by Moon Textiles brings some best and new prints of lawn that is embroidered with the eternal ethnic patterns and designs that perfectly fulfill the demand of its clients. The designer all the time used superior quality of classic lawn and used the best colors that start from dark to light as well as vibrant to delicate. 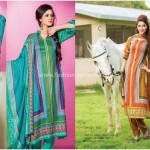 The colors which are used in these dresses are green, purple, parrot green, royal blue, sea green etc. Every dress in Barkha Lawn Collection 2015 is totally different from other dresses with respect to color scheme and prints. 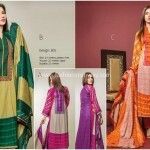 Barkha Lawn clothing for ladies consists of three piece suits of lawn which includes 2.5 meters of dupatta, 2.5 meters of fabric shirt and 2.5 meters of fabric trousers 25 prints of unique and different colors and blossom hues. 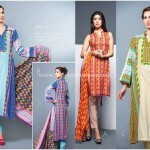 Some shirts by barkha lawn contain 3 meters of fabrics for those women who are healthy. Summer lawn by Barkha apparels have been ornamented along with ethnic patterns and prints with some stunning and pretty colors for women and young girls. 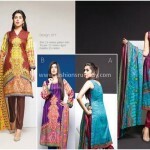 Moon Textiles Barkha Lawn 2015 suits can be worn on daily basis at home or in office and price of these apparels are quite reasonable and in range of all kind of peoples. Check out below here Pakistani clothing manufacturer Moon Textiles New Barkha Spring Summer Lawn Collection 2015 for women. 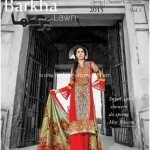 See complete magazine catalogue designs of Barkha Lawn new designs.